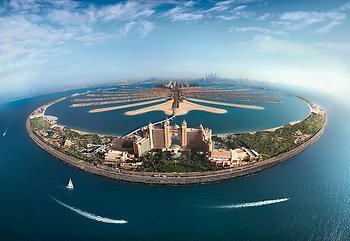 Magnificently located on the exclusive Palm Island in Dubai, the Atlantis hotel features beautifully designed rooms with balconies overlooking the pristine private beach and azure Arabian Sea. Restaurants, shops, a spa and fitness facilities plus family activities, such as an aquarium and dolphin swimming, are all available within the resort. I am cracking my brains but do not seem to find anything I disliked about the place. We knew the place would be great but this exceeded our expectations. With free access to the Lost Chambers and the Aqua Adventure it was worth every Dirham!